The company is heavily invested in two of the biggest CES 2018 topics—smart cities and the connected car. With the annual Computer Electronics Show (CES) upon us, there are many predictions on what tech products will be trending in the new year. CES is an amazing, bustling platform—with 180,000 plus attendees— where every sparkly new consumer product can make its way to the public sphere. There are two areas of huge interest that Cisco continues to make waves: see how the company is changing the future for smart cities and the connected car. CES has its own Smart Cities conference track—meaning that the ecosystem is booming and many are invested. Smart cities help places become more connected, bringing together technologies, solutions, and citizens. Some talks within the track include themes on finance, energy consumption, and cyber privacy. 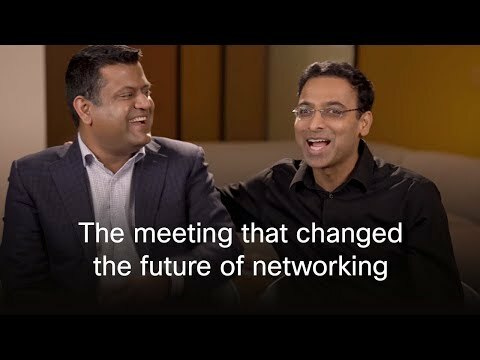 Cisco has worked to transform the city of Las Vegas—the very city CES is held in—into a smart and connected city. The company will showcase its work with Las Vegas during the conference, presenting a tour of smart city tech including things like connected cameras, sensors, lighting, and driverless trolleys. Another big drive at CES is the connected car, and top car companies will be showing off their latest innovations. Look for self-driving car demonstrations and plenty of presentations dedicated to concept cars and self-driving technology. Cisco's Connected Car experience is all about helping create the smart vehicle of the future. The company works with partners like GM and Hyundai to implement high-speed connectivity and end-to-end security into cars. And because these cars will have the technology that can collect crucial data, Cisco and its partners can help create new services based on that data that can best personalize the driver experience.